This is wonderful, and superb reflection. Great shot, taking advantage of that smooth water reflection. Ripples of time through the hour glass. 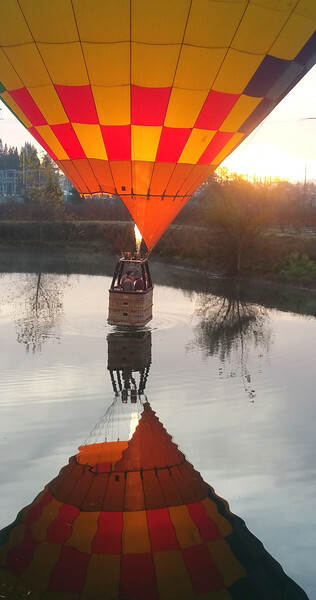 Great balloon reflections capture at sunrise with natural background with flame, Beautiful.